Karen has found instruction to be the perfect way to combine her life-long passions for horses, learning, and teaching. 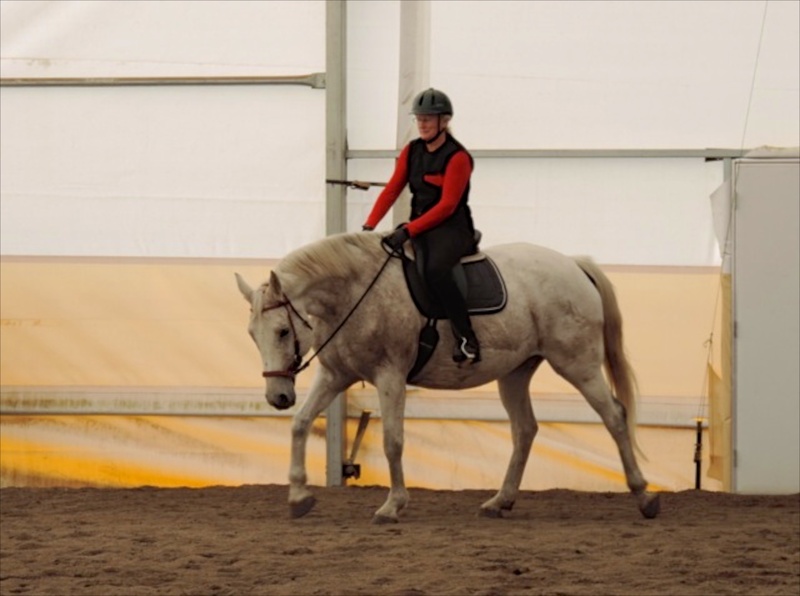 As a riding instructor for over 30 years, she has come to focus on promoting healthy and harmonious training and riding techniques. When you combine a horse with a centered body and mind, and a rider with a centered body and mind, a beautiful partnership develops. 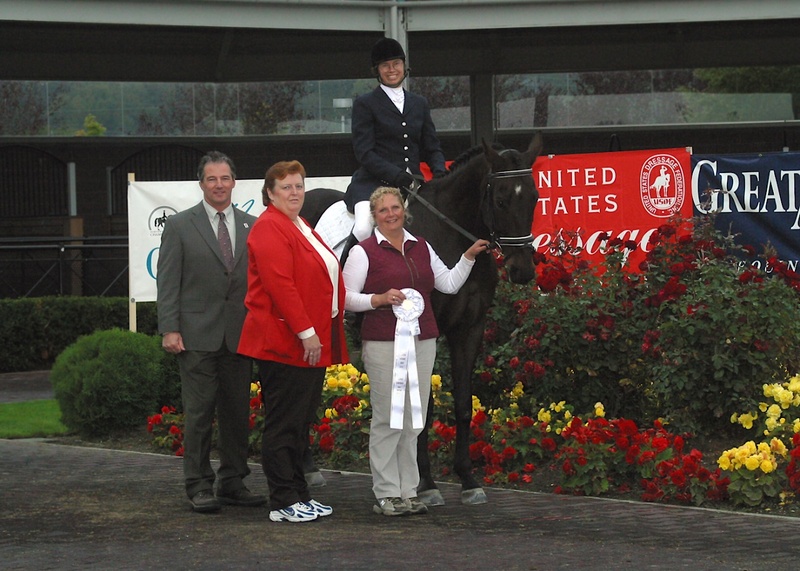 Karen Ososki is an international sought-after clinician with a proven ability to improve performance in equines of all disciplines, while maintaining and enhancing their mental and physical soundness. “Refined Performance Horsemanship” or RPH is the name of her unique method, developed over years of training dressage, jumping, and western horses. What is Refined Performance Horsemanship? 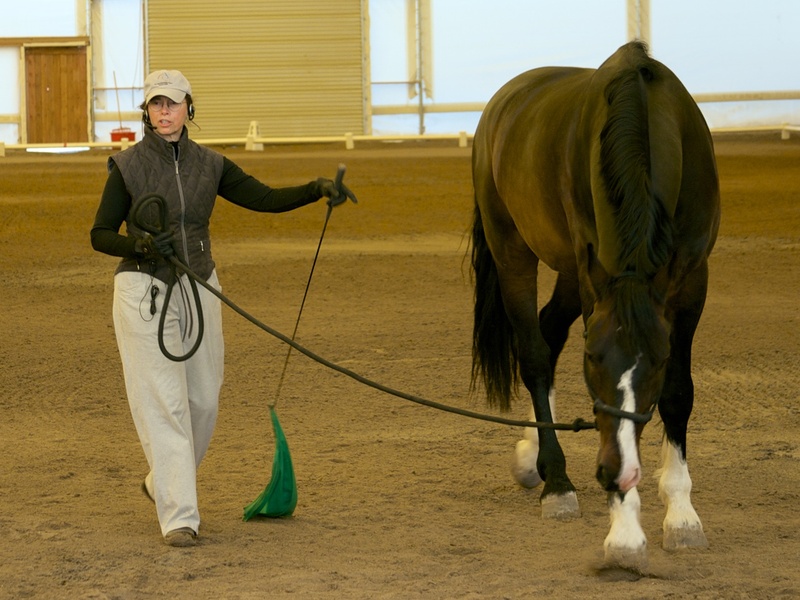 Karen”s Refined Performance Horsemanship (RPH) is a training methodology designed to improve the performance and soundness of equine athletes and pleasure horses alike using a blend of mounted and unmounted instruction as well as groundwork. A combination of natural horsemanship, classical principles, biomechanics, conditioning and schooling, RPH transforms a horse’s mind and body through the use of simple and logical work. The horse becomes quiet and willing, his body becomes balanced and through. RPH offers riders an understanding of how to help their horses and teaches them how to achieve these results. Who is Refined Performance Horsemanship for? RPH was developed to improve a horse’s physical and mental wellbeing. RPH is also for horsewomen and horsemen in pursuit of a deep and productive partnership with their horses. Riders from all disciplines and training style backgrounds can incorporate RPH techniques in their training programs. How is RPH different than how you’ve trained before? RPH emerged from over 20 years studying a vast range of horsemanship principles, including natural horsemanship, classical principles, biomechanics, conditioning and schooling. 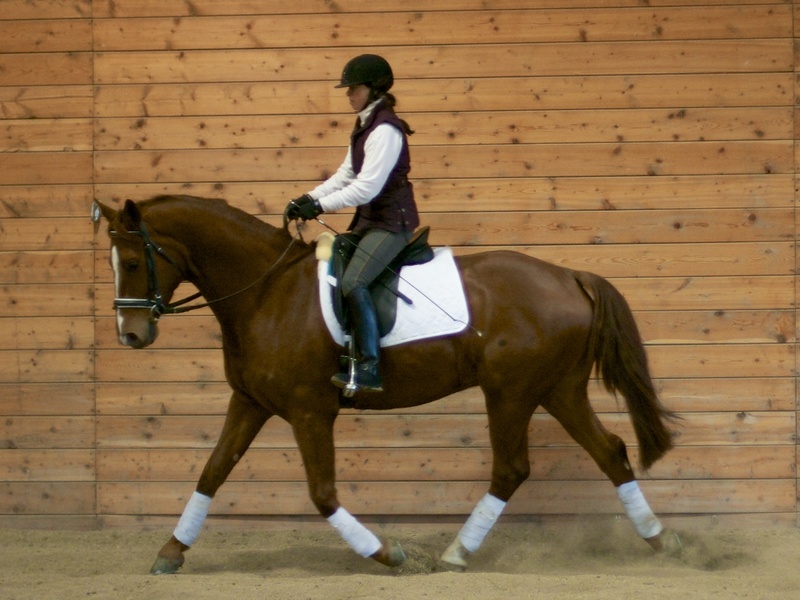 Karen has applied these methods with successful results in various disciplines – from western to dressage to jumping. 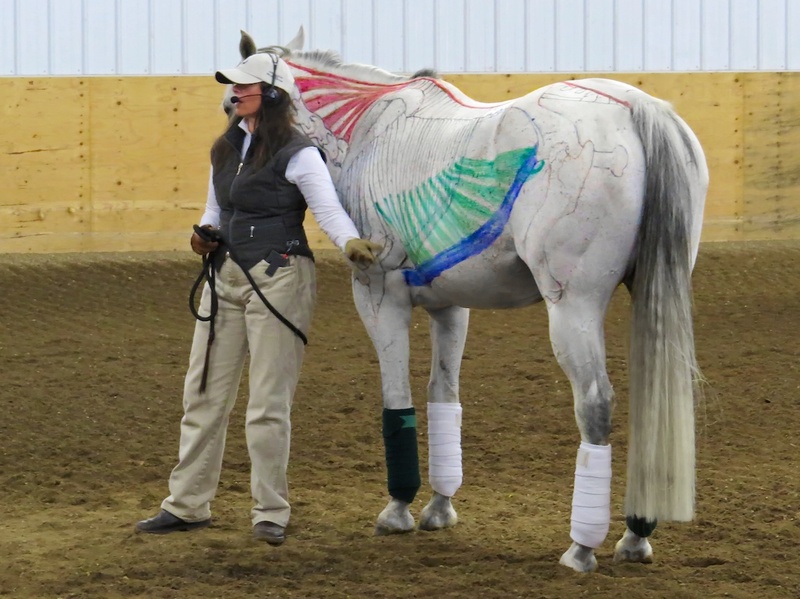 Through study and practice, Karen refined each discipline to its core and extracted elements that combine to create a holistic approach to horse training that results in relaxed and willing minds and balanced and capable bodies. 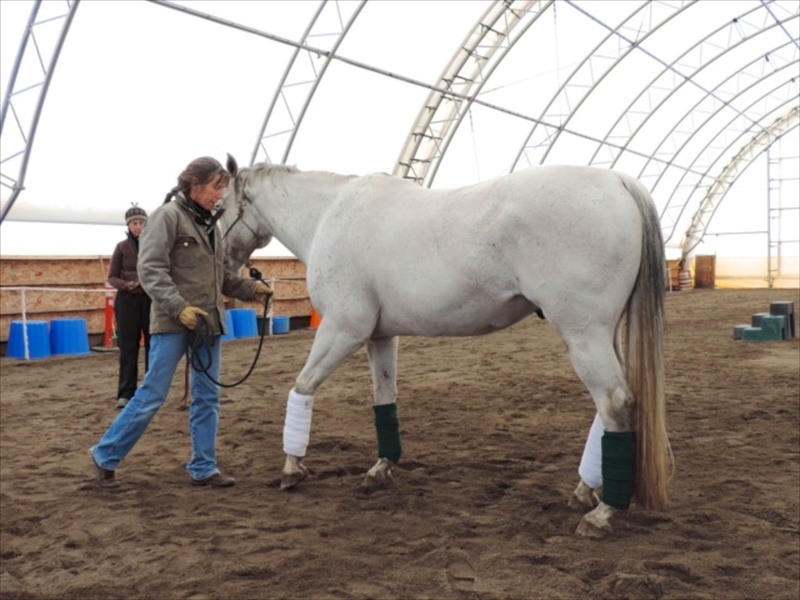 RPH clinic participants learn mounted and unmounted exercises that focus on developing muscular and skeletal foundations that are biomechanically healthy. 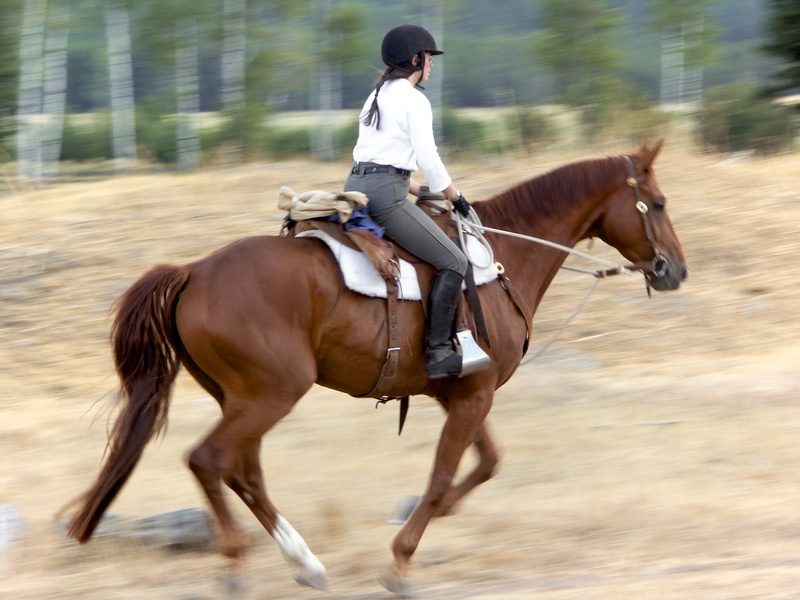 Once a horse is able to move freely, he becomes a more willing partner and he is capable of performing at a higher level while preventing lameness issues. After using RPH techniques, horsemen and women alike experience a partnership with their horses like they’ve never experienced before. 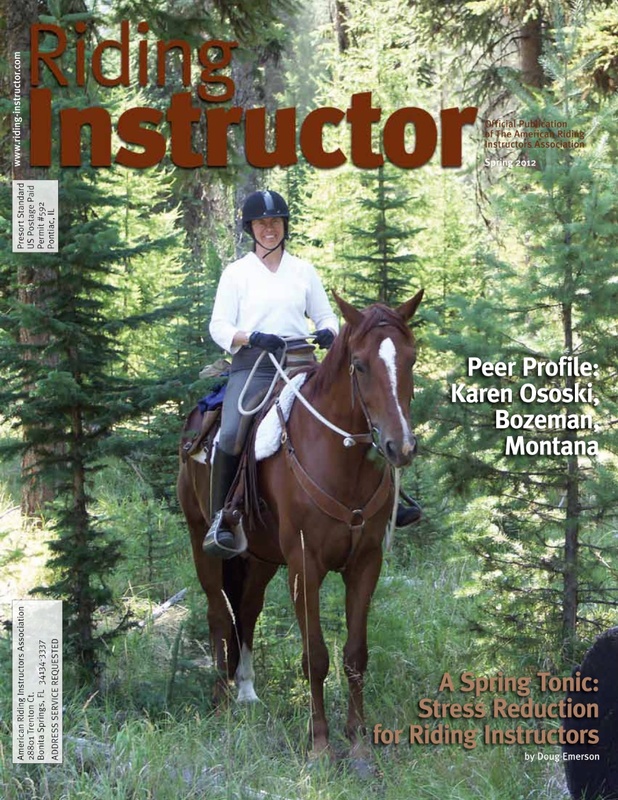 Reprinted from Riding Instructor Spring 2015. Karen is featured on page 24. It was nice to find someone like Karen that had the same belief system in working with horses as I have. The riding instruction I have received from her has opened up a new way of riding and working with the horse as a integration of horse and rider, moving it to higher level of understanding and companionship. . Her knowledge on bio-mechanics of the horse helps in understanding the movement of the horse and how simple stretching exercises make a horse more relaxed and supple. Which makes for a happier horse that enjoys it’s work. Karen’s knowledge of equine and human biomechanics is spot on. Her ability to connect with and understand a horse are amazing. She worked with my herd bound horse in a setting where he was content to be by himself, something I didn’t think was possible. She gave me some exercises to help me to get my horse to focus and work with me. She truly cares about the welfare of the horse and takes the time it takes to help the troubled horse fit into our world. I wish you the best at the Ohio Equine Affair, Karen, and hope you can provide some guidance for those who are struggling in their horsemanship, as you have provided for me. I hope you won’t become too famous to come back and work with us in Montana on our challening horses and hopefully western dressage in the future. Thank you Karen, for all your help with my challenging horse. I have had my mare for nine years and every day has been a challenge. After taking three lessons from Karen I have a new horse. Karen is a translator for the both of us and with this new line of communication we’re having fun, learning new things, and working together.